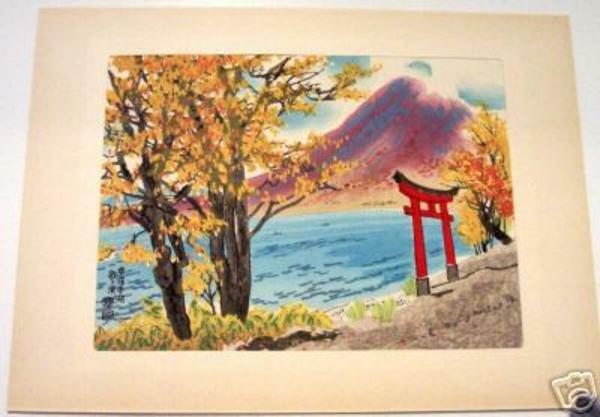 [Go Back] [New Search] Details for Kotozuka Eiichi (1906-) "Lake Chuzenjiko in Autumn"
Uchida Woodblock Printing Co., Ltd.
Each print measures 10 by 7 3/8 inch and is placed in a paper folder. The paper folders have yellowed and faded. The four prints are in a cardboard folder which has kept them flat and in excellent condition.